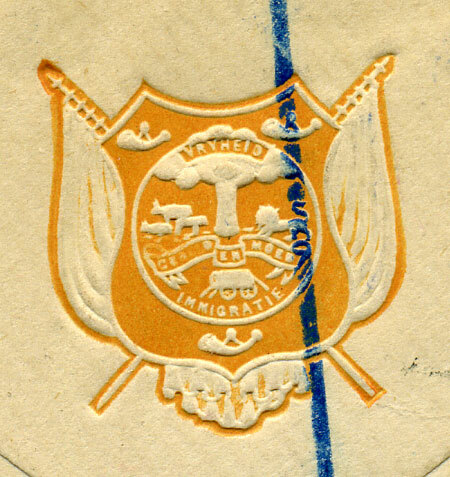 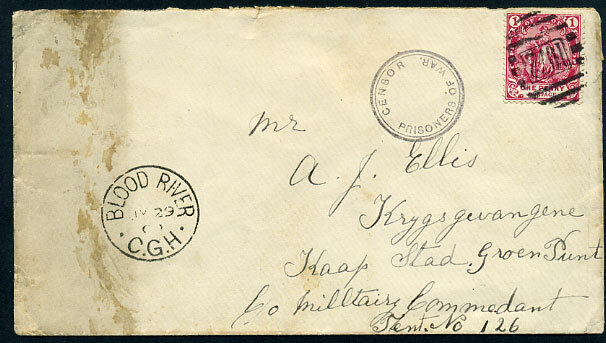 On Active Service cover from S.F. 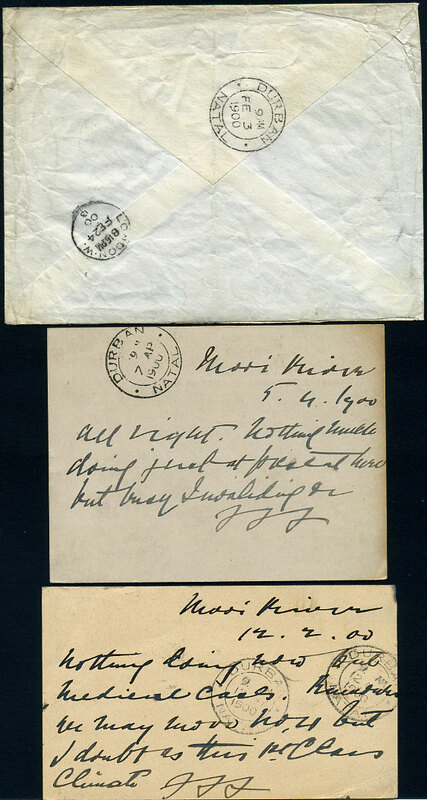 Freyer, Major thought Ramc (Royal Army Medical Corps) 1.2.1900 mailed next day with QV 1d plus two cards from same correspondence pmk'd MY 11 00 (headed 12.2.00) "nothing doing now but medical care" and 6 AP 00 (headed 5.4.00) "busy invaliding". 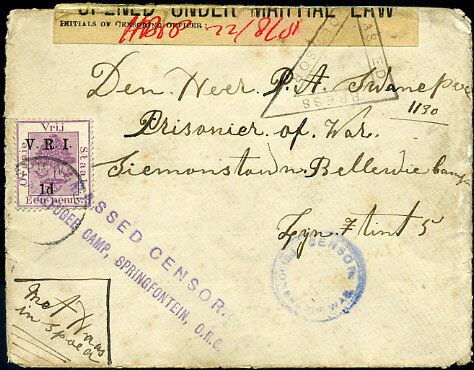 censored cover with 3 x 1d E.R.I. 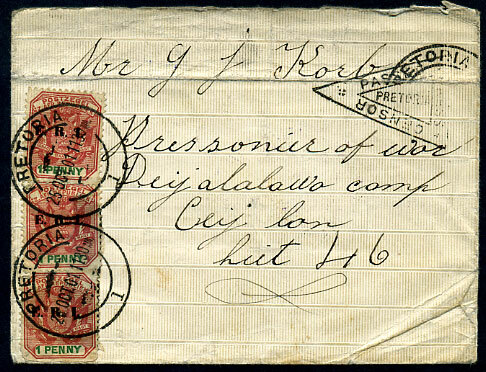 dated 25 OCT 01 to P.O.W. 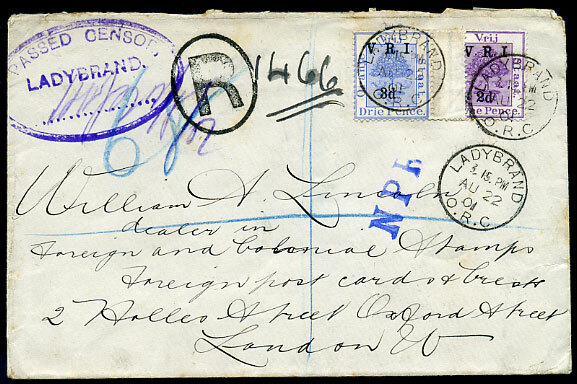 in Ceylon with Durban, Natal transit, soiled. 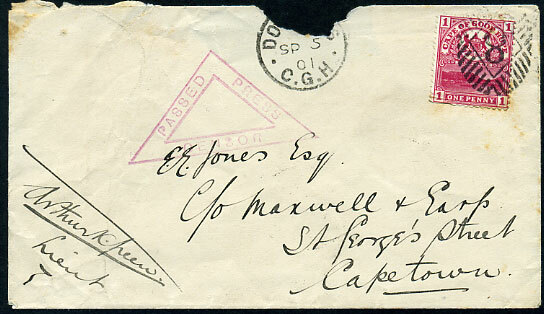 cover front only, peripheral faults and tear top left, dated I/MY 25 00 to J.J. Boshoff, Gree Point. 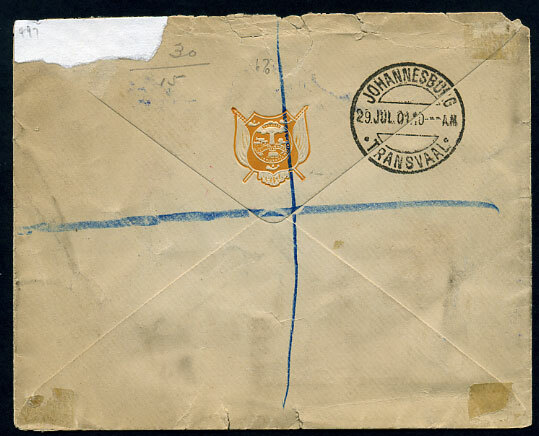 cover from "Pt. 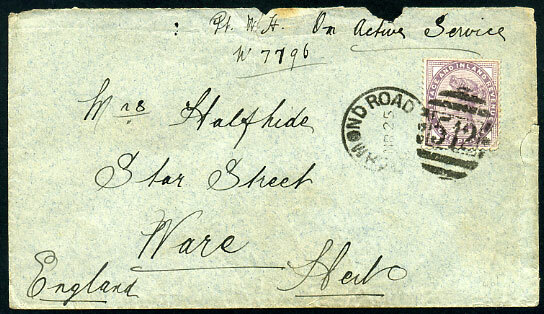 W. H(alfhide) W 7796" marked "On Active Service" mailed with GB QV 1d lilac MR 25 00 to Hampshire, reverse WARE AP 15 00 arrival. 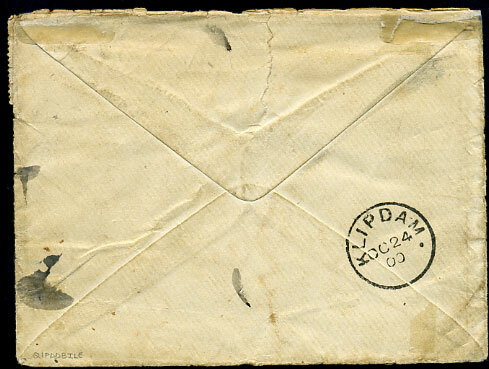 Flap slightly reduced along top, and opened a little roughly on second side at right. 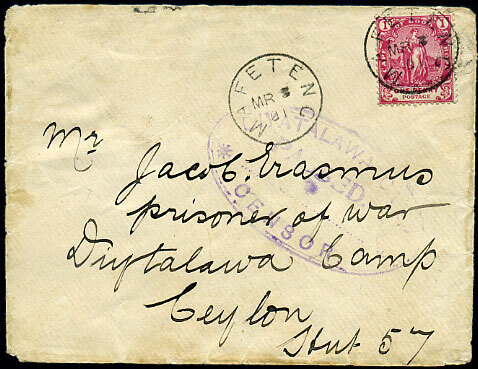 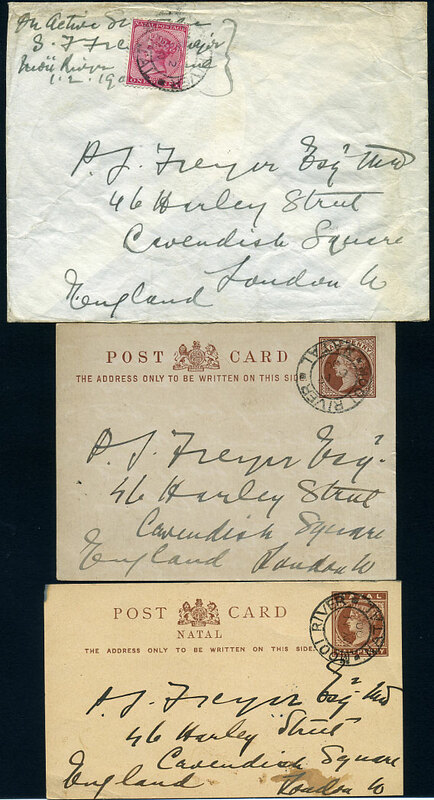 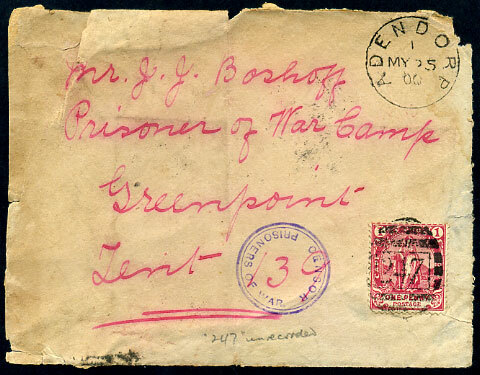 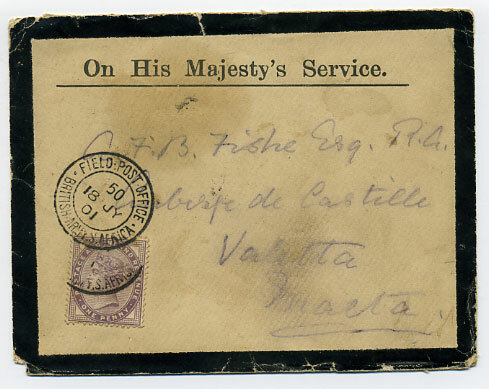 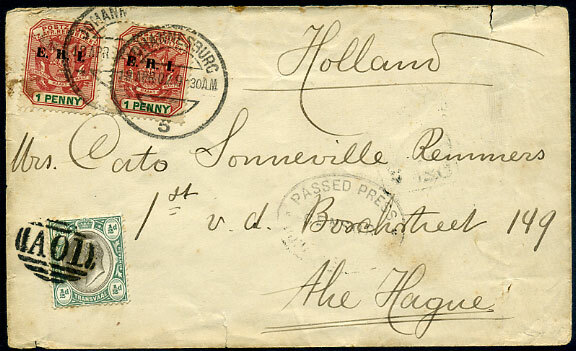 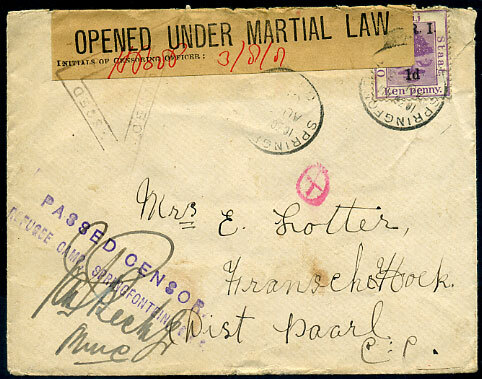 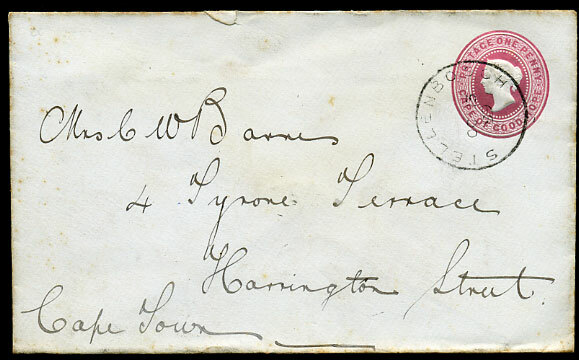 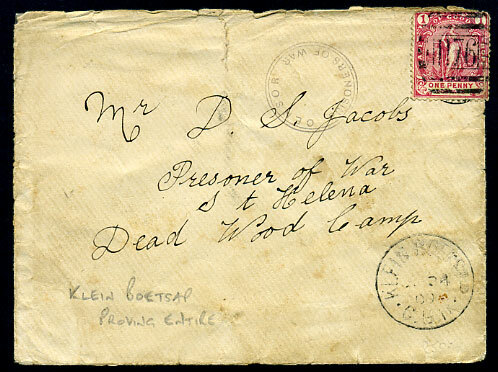 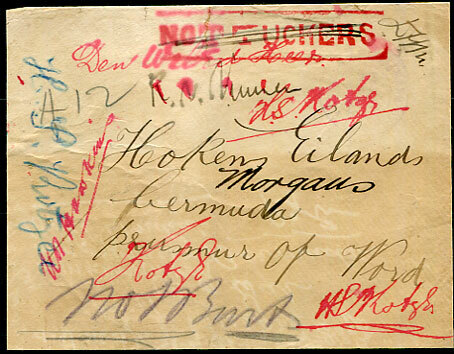 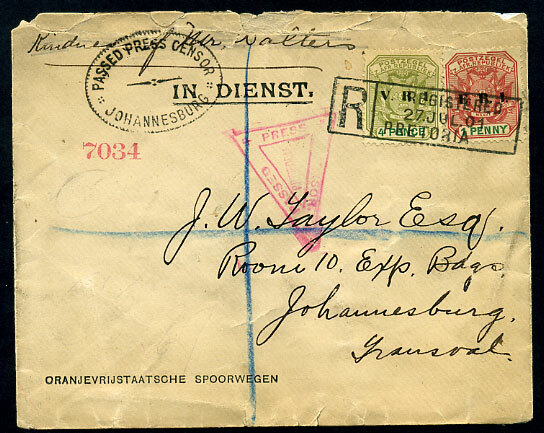 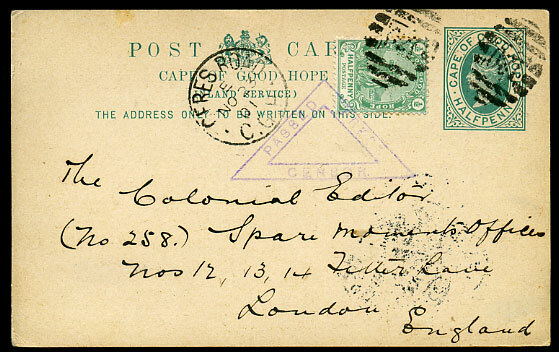 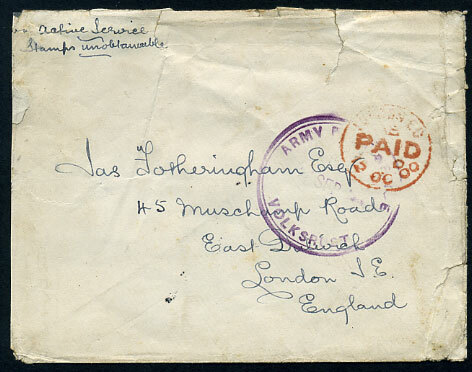 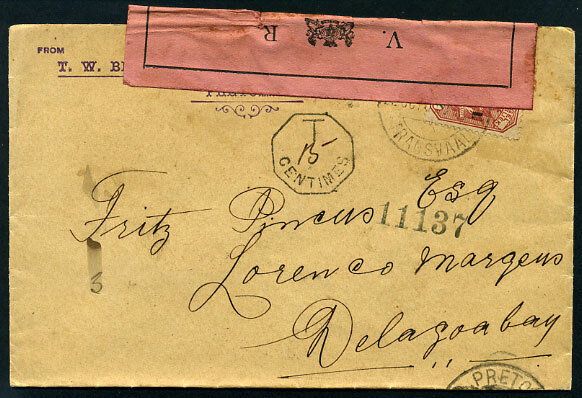 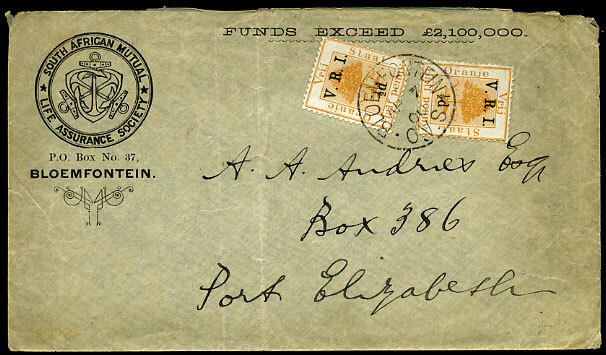 censored QV ½d Post Card with added ½d for London, England dated E/NO 23 01, reverse text being entry for competition.